Dieselgate is a term that everyone is now aware of. 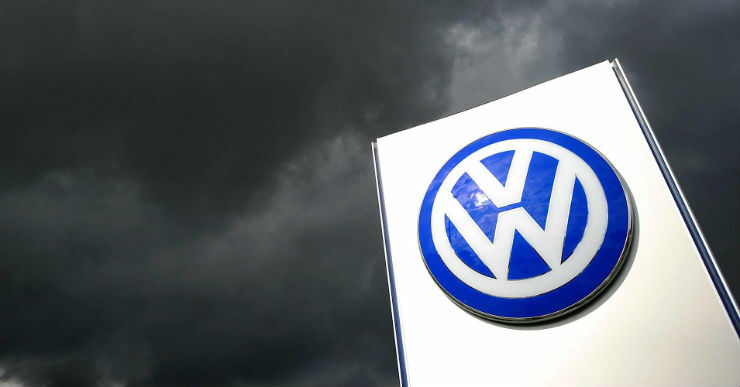 It was back in 2015 when it was found that VW cars (1.6 liter, 2.0 liter and 3.0 liter diesel engines) had something called a defeat device in them that gave out false emission readings. This resulted in the company incurring massive losses and having to update the cars of the affected people. The defeat device basically detected when the car was on a dyno (being tested for emissions) and made sure that the car went into an emission control mode which allowed for reduced NOx output, keeping the car within permissible limit. When the car is removed from that mode, the emissions were rated close to 40 times more, in the US market. In India, a whole range of vehicles were affected, ranging from the Polo and Vento to the the larger Audis that use the 3.0 liter engine. While the cars were carrying the defeat device in the Indian market as well, the company claimed that it can easily be fixed with the help of a software update. Customers in India were asekd to send their car back to the service station to get the same done. The Passat which was tested was rated as 176 Bhp and 379 Nm before the software update and post that, as you can see only 163 Bhp and 369 Nm is left. Not only is the output lesser, the curve has also shifted. The max torque which was earlier on offer from 1500 rpm is now on offer from 1900 rpm. The owner of this car was highly disappointed, saying that the car feels a lot weaker than what it was originally. A 2.0 liter Yeti was tested which had slightly more torque than what it had in the beginning, however that too came in only at a later rpm, making the car more sluggish to drive. The Q5 tested saw a massive drop in torque figures, from 361 Nm to 336 Nm. This lost 6 Bhp as well. However, an A4 that was tested saw an increase in power and torque figures, something which was surprising. According to them, the cars with the 1.6 liter engine that were tested didn’t see much change in power. However there has been a change in the torque curve, which is now delivering the peak torque later in the rpm range, which makes the car more dull during in gear acceleration. For the Vento, the driveability has improved, however the curve has become a lot flatter, which means that the sudden surge when the turbo spools is missing. As for the Jetta, the engine became a lot quieter, however the pulling power has reduced, something that was felt by owners globally as well. The Jetta uses the 2.0 liter TDI diesel engine, where as the Vento makes do with either the 1.6 or the 1.5 liter unit, based on the year of manufacturing. The Polo uses 1.2, 1.5 and 1.6 liter diesel engines. Driveability has improved. Fuel Economy has increased marginally. I missed the sudden surge that we all have enjoyed so far with a grin on our face, when Turbo kicks in at around 1900-2000rpm but the pull is definitely not bad. Push the car and you will feel the engine being restricted in some sort of way, It isn’t pulling anywhere close to where it was before. Driveability becomes worst in 3rd gear, from 2800 RPM in 3rd gear, the car seems to progress like a Naturally Aspirated engine which has a CVT Gearbox!! The progress is slow and the engine feels restricted, The acceleration has become really really linear and from 3rd gear onwards, there isn’t any kind of turbo pull felt. If i had to put a number of the HP that I feel the car has lost, it would be somewhere around 10-15 HP! I had my Jetta updated few months back and there are both negatives and positives. First of all the car has lost top end punch. Earlier if I mash the throttle the kick down used to be followed by a beastly rush which is missing now and instead you get a smoother response. After the update I was surprised during an overtaking manoeuvre with the tweaked response. But since the Jetta has ample power and the DSG does a brilliant job of masking any power loss you can live with it. The positives include a bit more silent engine and almost +3kmpl improvement in fuel efficiency figures on long trips.